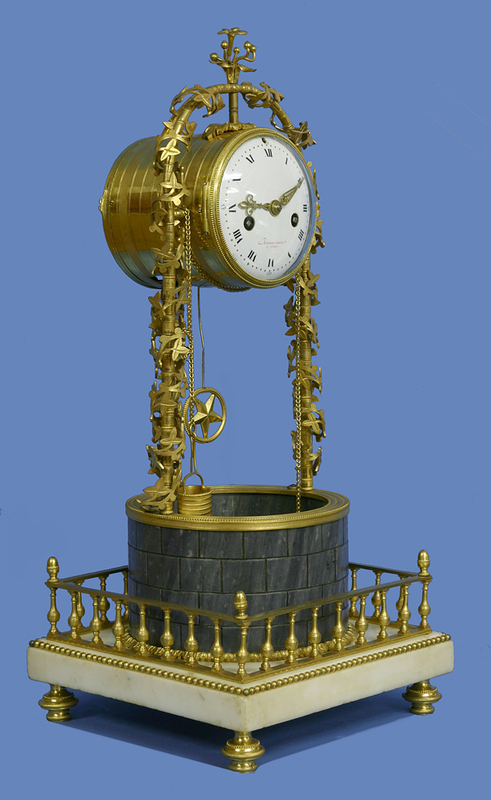 c.1795 French Marble and Ormolu Wishing Well Clock. 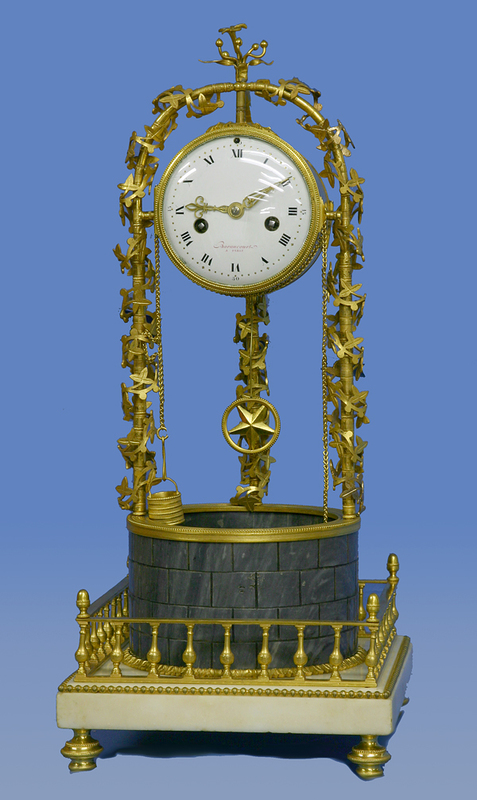 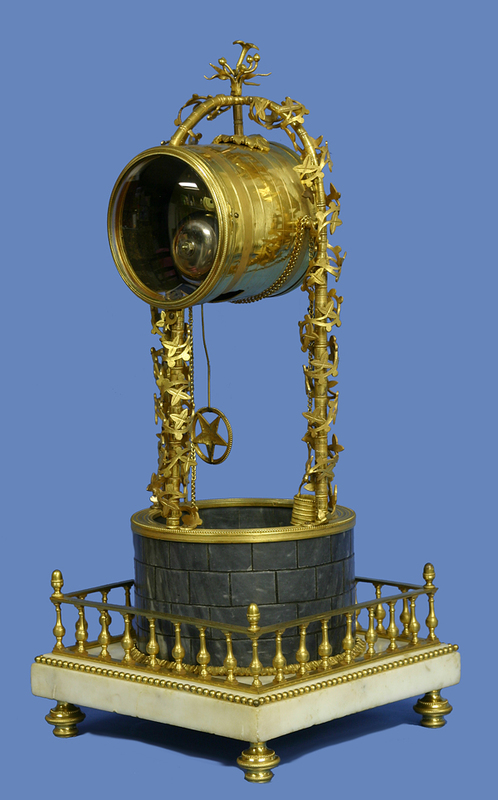 A well-cast and finished ormolu and marble clock depicts a wishing well covered in ivy. 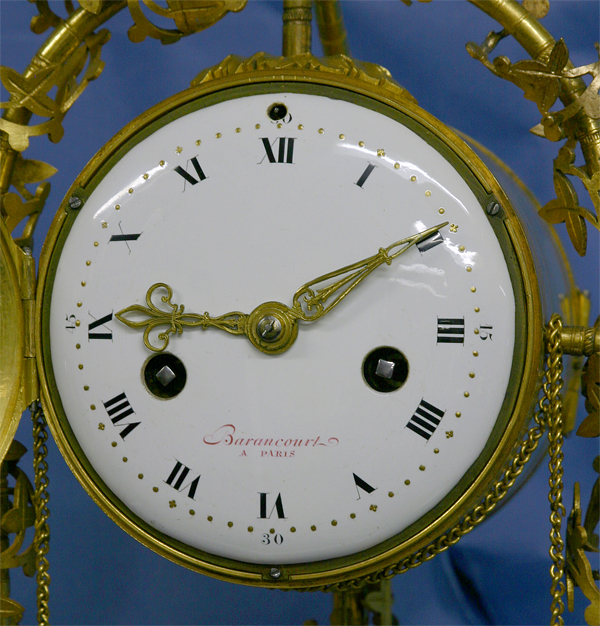 The well-lettered white porcelain dial has bold black Roman numerals for the hours, gilt minute dots, Arabic fifteen-minute marks, is signed in red, ‘Barancourt A Paris’, and has nicely cast and finished ormolu hands. 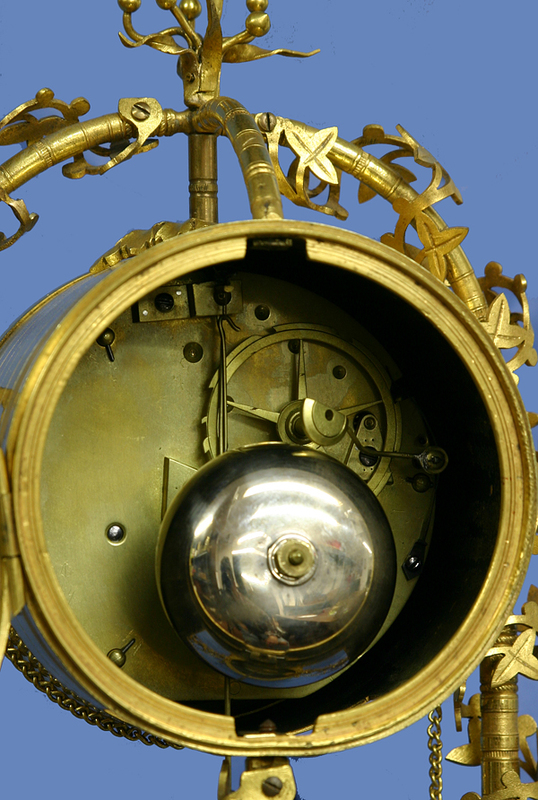 The eight-day time and strike movement has a silk-thread suspension and strikes by countwheel on a bell.